Wage garnishment is one of many ways the IRS has to collect your tax debt. Though liens and levies are used as well, IRS wage garnishment is more common. So, if you owe the IRS, it’s important to know how wage garnishment works, and what you can do to stop it. For more information, speak to a Fairfax, VA IRS attorney today at Sodowsky Law Firm, PC. Under federal law, the IRS can seize your income to retrieve any federal tax debt you owe. This includes your wages, salary, commissions, and bonuses. The IRS can garnish your wages without taking you to court. And, it can take a higher amount of your wages than a private creditor could. Generally, they’ll garnish 70% or more of your income. They have to leave just $375 from each of your paychecks so you can support yourself and your household. But, if you’re self-employed, they can take all of your income. What Is the Wage Garnishment Process? Before they take your wages, the IRS needs to follow a process prescribed by the law. First, the IRS must send you ample written notice in advance of any garnishment action. The notice will provide the amount you owe. This includes penalties and interest on top of the principal tax debt. It will also give you a due date to pay off your balance. This gives you a chance to stop IRS wage garnishment before it can begin. The IRS will send a second notice if you don’t pay your balance in full after their deadline. This “Final Notice of Intent to Levy” must be sent by registered or certified mail 30 days before wage garnishment. The final notice will include a letter that informs you of your right to an appeal. You have the right to request an appeal within the 30 days between the final notice and IRS wage garnishment. If you don’t take action by the end of the 30-day window, the IRS can start garnishing your wages. The IRS will require that your employer send a specific amount of your paycheck directly to them. Your employer must start within one pay period of receiving notice and continue until your debt is paid. The easiest thing to do is change your employer. This is a temporary solution, however, since the IRS will inevitably find you and your new employer. Once they do, they will reissue the wage garnishment. The IRS will let you pay your balance over time if you work out an installment plan with them. You will need to engage the IRS and demonstrate that you cannot repay your whole debt at once. As part of the installment plan, you will have to make monthly payments until your debt is paid in full. If they agree to the plan, the IRS will not stop their attempt to garnish your wages. If you can’t pay your debt due to financial hardship, the IRS could make an offer in compromise. In doing so, they will reduce the amount you owe. Qualifying for this selective program requires an application. But, the good news is that the IRS wage garnishment will be stopped while your application is being reviewed. The IRS could forgive your debt if you demonstrate that paying it back will cause you extreme financial hardship. But, you must prove that wage garnishment or repayment will prevent you from caring for the basic needs of your family. 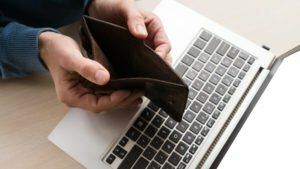 Under the law, you have the right to an appeal of IRS wage garnishment if you dispute what you owe. You must request an appeal within 30 days of receiving the IRS “Final Notice of Intent to Levy”. Your tax debt could be discharged through bankruptcy. However, bankruptcy should be a last resort. It’s difficult to know how much of your tax debt is dischargeable. Non-dischargeable tax debt will need to be paid even after bankruptcy. The most you could hope for is for IRS wage garnishment to stop during your bankruptcy. However, bankruptcy will damage your credit for a long time, leaving you unable to buy a car, home, or business. IRS wage garnishment will result in financial hardship that could plague you for years. 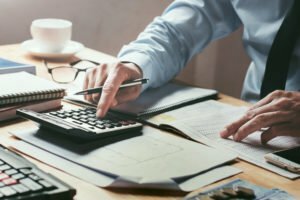 You need the help of an experienced Fairfax VA tax attorney to evaluate what you can do to stop the IRS from garnishing your wages. At Sodowsky Law Firm, PC, we have years of experience helping clients with IRS tax debt avoid wage garnishment. Contact us today to learn more about our services.